Inferno is a seven part story of popular sci-fi show, Doctor Who, starring Jon Pertwee. Inferno, is a science project aimed at exploiting a new power source underneath the earth’s crust. While the Doctor is fixing his TARDIS, he is thrown in to a parallel universe, where his misgivings of Inferno are confirmed when he sees how it has almost completely destroyed the alternate earth. 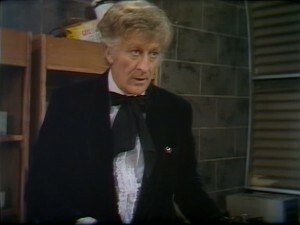 Jon Pertwee (Worzel Gummidge, Jackanory) stars as the third Doctor alongside Caroline John (Harry Enfield’s Television Programme, P.R.O.B.E), Nicholas Courtney (The Sarah Jane Adventures, Downtime), Olaf Pooley (The Master, Star Trek: Voyager) and Christopher Benjamin (Pride and Prejudice, Angel). The production visited Kingsnorth Industrial Estate in Medway which featured as the setting for the Inferno project. This estate used to be a large oil refinery known as Berry Wiggins and Co Ltd. and is now an Industrial Estate to many businesses. Medway is a group of towns set along the River Medway, steeped in history, particularly with Charles Dickens connections. Productions which have previously filmed in the area include London Spy (2015), Les Misérables (2013) and Sherlock Holmes (2009). Doctor Who – Inferno was shown in 1970 and is now available to purchase on DVD. 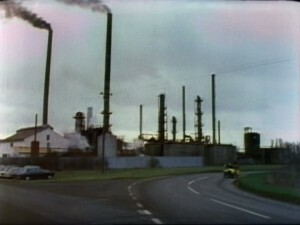 This entry was posted in Filmed in Kent and tagged Doctor Who - Inferno film locations, Jon Pertwee, Kingsnorth Industrial Estate, Medway, TV Drama. Bookmark the permalink.